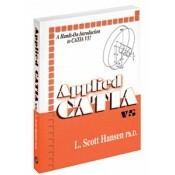 Written with the intention that users can learn CATIA V.5 R15 on their own with little or no outside help, this unique reference provides step-by-step instructions along with numerous illustrations. It will provide a self-guided learning experience using CATIA V.5 R15. It is an excellent resource for anyone enrolled in Engineering Technology programs and professionals interested in learning CATIA V.5 R15.